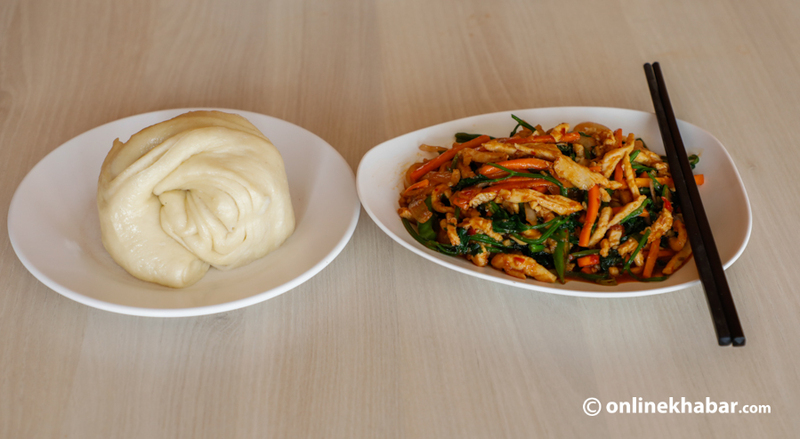 Over the past few decades, Kathmandu has embraced Tibetan cuisine as its own. The savoury and tantalising cuisine is now available throughout the Valley with eateries opening everywhere. But for me, there is only one place for Tibetan cuisine and that is Bouddha. This area has been home to Tibetan refugees for decades and it is where Tibetan food in Kathmandu was born. You get it all there, from thukpa and thenthuk to the creamy butter tea. In a bid to try some tasty Tibetan food, I headed to Mechung, a family-run restaurant that opened its doors 40 years ago. The restaurant, which started as a momo and chowmein joint, has come a long way. 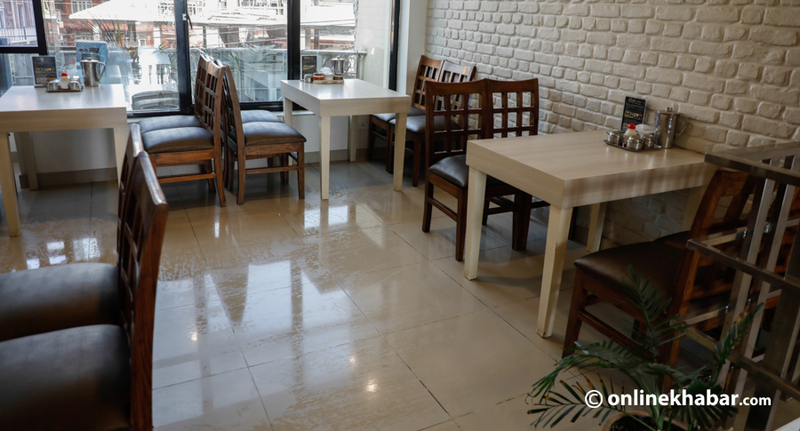 The owners recently relocated the restaurant to a spacious and neat space opposite Bouddha gate. 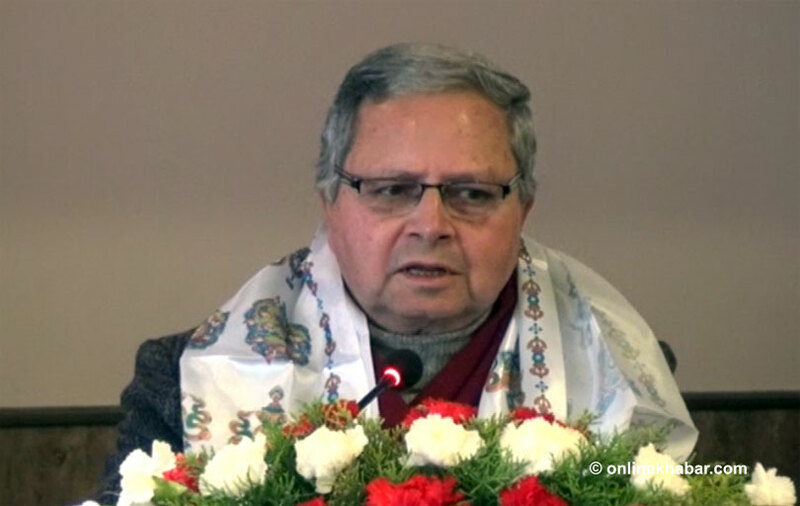 The owner, Tenzing Ragba, shares that the name Mechung came from the customers themselves. “Me means a man and chung means small. We had a short guy as a waiter here who helped the business boom. Considering that as a good sign, we named our restaurant Mechung,” add Ragba. At Mechung, I was given a feast. The first item I would recommend you to try is the dry buff thukpa. 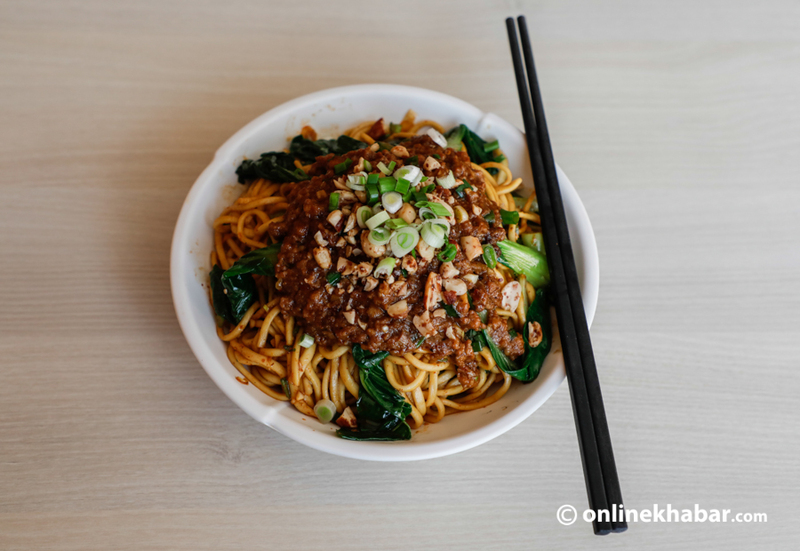 The spicy-thick dry noodle dish is amazingly good. It comes with minced buff and pok choy and a peanut topping. It isn’t as spicy as Korean ramen noodles and this make this dish better. 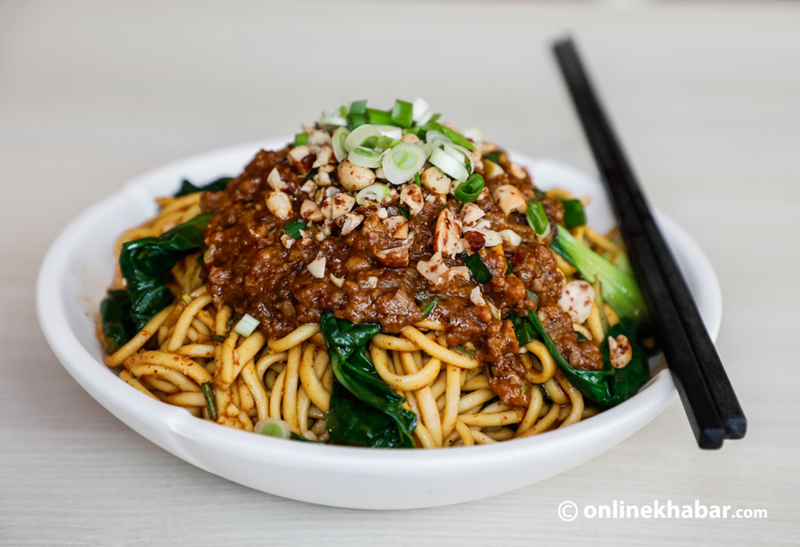 The minced buff meat was full of flavours and went well with the noodle and the pok choy. The peanut topping gave the meal more flavours. The second dish I tried was fai koru (double cooked pork). It is a dish made for the Nepali’s taste bud. The pork is tender and juicy and is seasoned well. The dish is cooked in a delicious sauce along with green onions which add a distinct flavour to the dish. 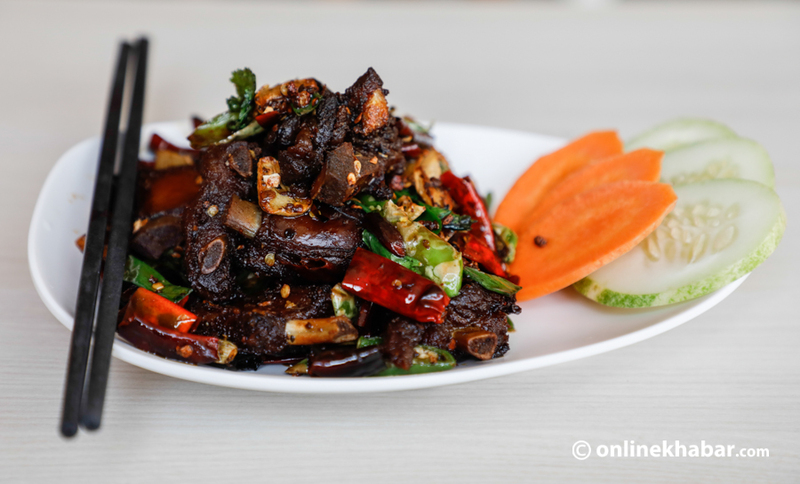 It is a dish that goes well with rice or Tibetan bread called ting mo. 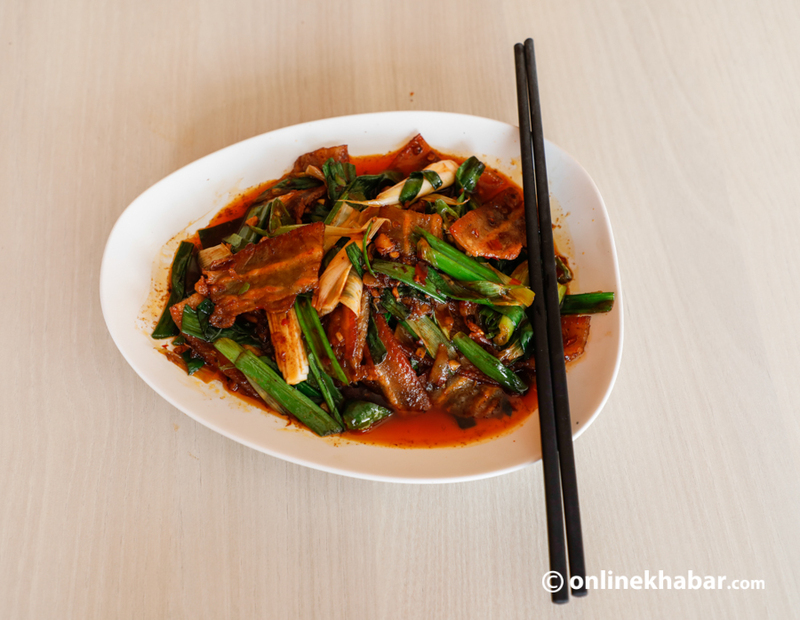 I was also recommended another pork dish – shang la faiku (pork ribs with red chilly). The fried pork ribs are spicy and meaty. It is soft and has a smoky bacon-like taste. The extra fat content makes it absorb more spices which makes this dish tasty and addictive. This dry dish is perfect as a snack with your favourite drink. The last meal I indulged in was the chin chai chiroos (chicken with celery) which they have brought straight from the streets of China. I had never heard of celery which made this dish the most interesting. Celery adds a unique flavour to the dish and is also an excellent source of antioxidants. The dish was quite nice and went well with the ting mo as its blandness complemented the extra flavour on the chicken dish. Chicken with Celery accompanied by Ting Mo. Mechung also has vegetarian items but it specialises in non-vegetarian items especially their momo, thukpa and thenthuk are perfect during the winters. The place is small but cosy and has come a long way since it opened in the late 70s. The place gives a warm vibe and is definitely a place to eat when in Bouddha.